A member of Foster Swift’s Business and Tax Practice Group, Woody VandenBosch is known for his practical and solution-oriented approach to business, tax and estate planning and administration legal issues. In his more than 30 years of practice, Woody has acquired a high level of expertise handling the broad array of entity and personal issues facing family-owned businesses. He regularly assists with organizational structure, operations, intergenerational planning for ownership and management matters as well as provides counsel for income and transfer tax planning concerns. In many instances, his work for family-owned business incorporates crafting estate plans that ensure clients' business and wealth distribution goals are fulfilled. Non-family-owned businesses and non-profits also benefit from Woody's business and tax-exempt organization knowledge. He helps these organizations address governance, organizational planning, succession and exit planning, transactions, finance, sales, mergers and acquisitions as well as any related tax matters. Woody is a popular speaker on complex estate and tax-planning issues at association educational events because of his ability to clearly communicate intricate business and tax concepts. 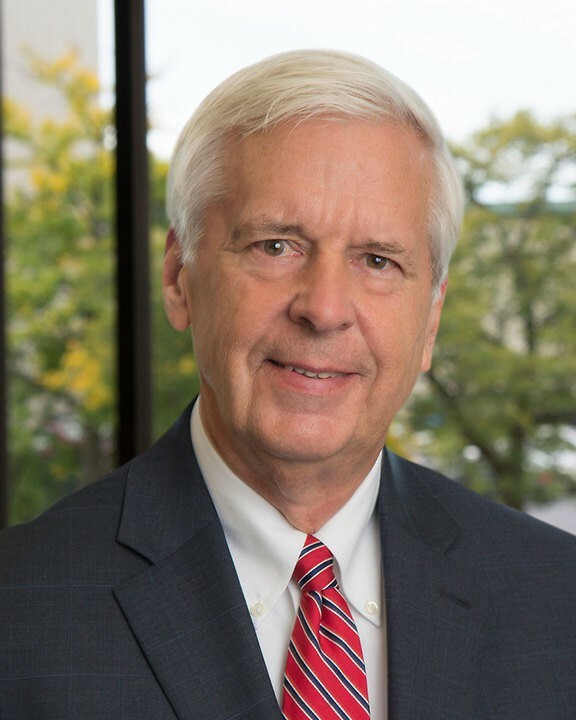 In addition to his participation in the legal community, Woody has provided leadership to several civic groups including Ferris Foundation, Barnabas Foundation, Reformed Bible College (now Kuyper College), Wedgwood Foundation and Holland Home, where he served as Chairman of the Board of Trustees. He also serves as a fellow to the Michigan State Bar Foundation. Develop exit strategies for substantial family-owned business clients, through all aspects of negotiation and sale to third-party purchasers. Assist business clients (public and family-owned) with the negotiation and purchase of stock and assets of target business for several substantial businesses and family-owned businesses. Counsel substantial family-owned businesses regarding multi-generational ownership and succession planning including the use of multiple organizations and split-interest trusts. Achieve substantial federal and state income tax savings using trust and estate planning techniques, including tax-favored sales and split-interest trusts. Provide counsel to business owners for management succession and continuity.